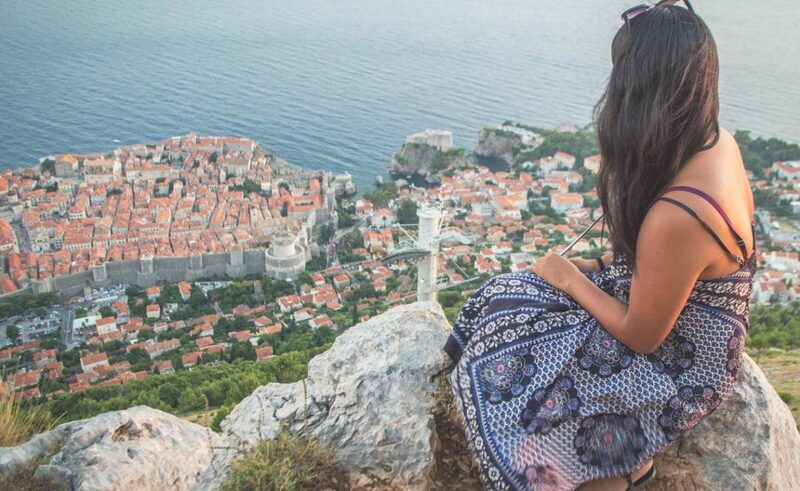 So, recently we chatted with a lovely blogger Christina Guan, who contacted us with a very interesting topic to write about – the crowds in Dubrovnik. Yes, just like any other popular and beautiful city in the world, Dubrovnik has many visitors, and therefore – crowds. Let’s see Christina’s impressions, tips and solutions – we loved the article! When I found out that I’d be headed to Croatia this summer with MedSailors, my fangirl heart just about exploded. 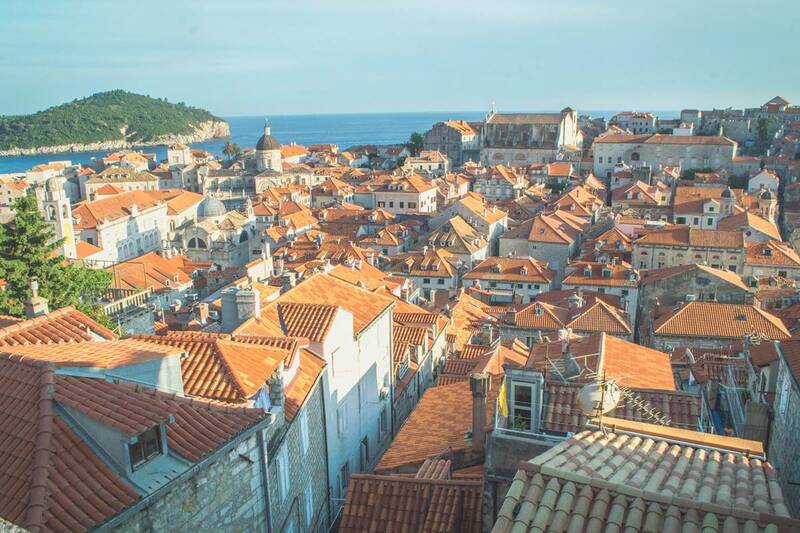 King’s Landing Dubrovnik has been on my bucket list for ages, and I couldn’t wait to spend 3 days exploring its narrow streets, strutting around like the Khaleesi-in-training that I am. I was a bundle of excitement, that is – until I started doing my research. Quickly, my starry-eyed daydreams were replaced with more realistic words of caution: that Dubrovnik is insanely hot and, of course, over run with crowds, especially in peak season. I had heard these warnings before, but that wasn’t going to stop me from storming through the Pearl of the Adriatic… I mean come on, have you seen photos of this place? I knew that I’d have to do plenty of research and planning to ensure that I did this city justice, and I am very happy to say I did. In fact, you should know, the first time I stepped into Old Town, I was grinning ear to ear like some kind of maniac. I loved it. Every minute. And so, if (like me), you want to make the most your trip to Dubrovnik but you also (like me) fear the crippling crowds, here’s a guide to help you out, with tips to ensure that your trip is everything you ever dreamed. If you’re coming to see Dubrovnik, it goes without saying that you’ll want to explore the Old Town. The issue is: everyone else is wanting to do the exact same thing. One morning I arrived at Pile Gate around 9:30am, and was genuinely shocked by the sheer volume of people being poured into the city. Because Dubrovnik is a popular port for cruise ships, thousands of visitors arrive by the bus load, and eventually make their way into the tiny streets of Old Town. My tip on is to arrive either very early in the morning, or preferably late in the afternoon (around 4pm). I stayed somewhere with a fantastic rooftop pool, where I spent some relaxed mornings before heading into the touristic bustle of Old Town later in the day, when crowds had thinned. Dubrovnik has a lot of different museums and attractions that you’ll probably be keen to see. Again, avoid peak hours (10-4) which is when most of the cruise ship passengers will be around. Especially for the City Walls (a must-do for sure), I suggest going around 6pm, which gives you an hour to explore before they close. The temperatures are a lot more bearable at this time, and watching the sun dip down from this vantage point is unforgettable. Wander the residential back streets. The streets of Old Town are narrow and packed, but if you wander off the main streets for even 2 minutes, you’ll find yourself pretty much on your own. I loved exploring these little pockets of seclusion around the city, a bit of calm above the busy chaos in the streets below. One of the best ways to beat Dubrovnik’s searing heat is by cooling down with a nice drink. For this, I recommend Buza. Tucked away outside the city walls, this spot is well known for its prime views and a place where daredevils can cliff jump (though it’s not advised). Despite its popularity, finding a table isn’t too tough, and the still and relaxing ambiance is a perfect way to recharge after several busy hours of sightseeing. There’s more to Dubrovnik than just admiring Old Town. On one of the days, I took a quick 15 minute ferry ride over to Lokrum Island, a beloved spot of locals where there’s plenty of beaches, lush forests and even a salt water lake that boasts far fewer crowds than the busy bits of the city. Here, the clutches of tourism are far less evident, and you can easily find a nice spot for yourself to swim, picnic or enjoy nature for the day. When given a short time to explore a city, it’s sometimes hard to avoid the herd mentality of rushing from sight to sight. I suggest slowing down though so you can fully soak up your experience. For instance, I decided to watch the sunset from atop the Dubrovnik Cable Car one evening (another must-do! ), but of course it was supremely busy. After an excrutiating wait to get to the top, the crowds scattered and took a bunch of photos. Then, a few minutes after the sun dipped down, everyone once again rushed to leave and get down. The line to get back down the mountain was so long that it spiralled all the way down several flights of stairs and outside onto the path. Instead of racing down like most of the other visitors, I instead found myself a nice place to sit on the rocks (admittedly, a little off bounds! ), where I watched the city light up along a background of golden orange, then deep blue. This is one of my favourite memories from my time in Dubrovnik, because I was able to take the time to slow down and enjoy the moment. A bottle of wine would have been nice, but hey you can’t have it all! 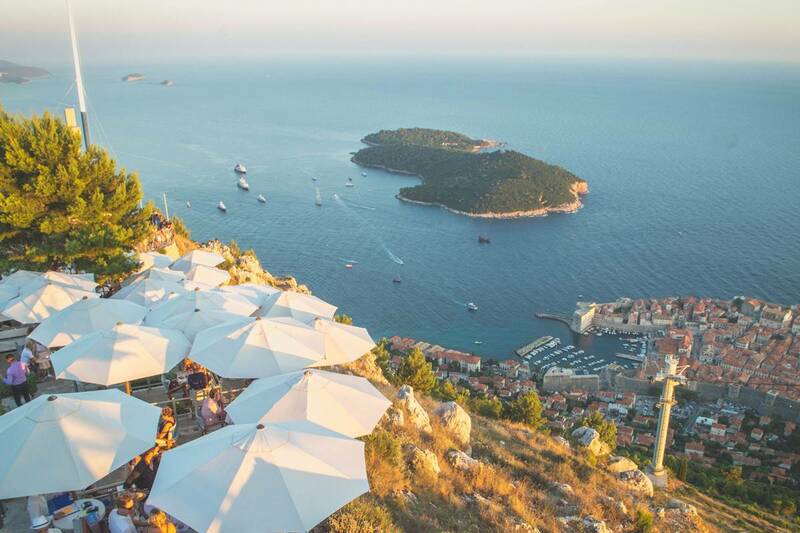 So, in conclusion, yes – Dubrovnik is hot, yes it’s crowded and yes, sometimes you will feel a bit suffocated… but it’s impossible to ignore the fact that Dubrovnik is also inexplicably wonderful. Follow these tips and I’m sure you will feel the same. Happy travels! I was provided a Dubrovnik card and admission to certain attractions by the Dubrovnik Tourism Board, but opinions and tips are all my own.